Autonomous surveillance platforms like the Herti drones developed in Afganistan will soon fly over the UK for routine monitoring of antisocial motorists, protesters, and anyone else the Home Office deems in need of watching. Police authorities hope to have the drones approved and ready for the 2012 Olympics. The arms manufacturer BAE Systems, which produces a range of unmanned aerial vehicles (UAVs) for war zones, is adapting the military-style planes for a consortium of government agencies led by Kent police. Documents from the South Coast Partnership, a Home Office-backed project in which Kent police and others are developing a national drone plan with BAE, have been obtained by the Guardian under the Freedom of Information Act. The following video provides an excellent introduction to the capabilities of the Herti drone. 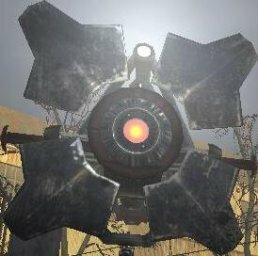 Players of Half-Life 2 are familiar with the City Scanners, small autonomous surveillance drones. Little Bird gave them a series of clear, frozen pictures, at the ends of blurry swoops, the pictures cameoed on the big screens in blue wrapped squares. From the Guardian. Thanks to Will Hobson for submitting the tip for this story.